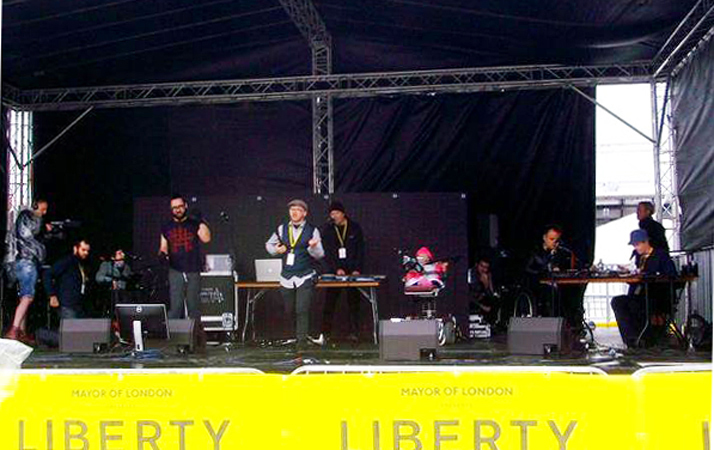 The performance with projected visuals & use of AMT was a totally live audio-visual show by a deaf rapper, disabled & severely physically disabled musicians, for an audience of deaf, disabled & non-disabled people at Mayor of London's Liberty Festival 2015 on the 26th of July. 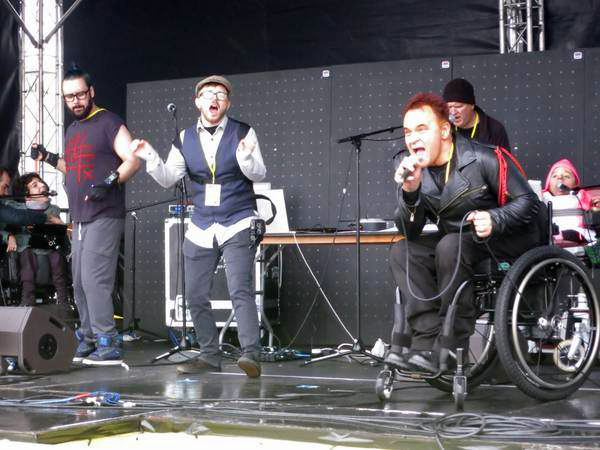 Part of that performance was captured by Channel 4 and shown as part of their National Paralympic Day programme aired on Saturday 2nd of August 2015. In addition, the 'flavour' of the day and the performance, together with reactions from the band and others associated with the project, has been captured by artist and filmmaker Simon Puriņš in his short film 'We Are Sonic Vistas'. Ivan Riches created 5 artwork projections (now videos), incorporating imagery and text influenced through the development of lyrics and new music using AMT. Sonic Vistas performers/ musicians are: Howard Jacques, Kris Halpin, Ivan Riches, MC Geezer, Mik Scarlet, Rosie Vachat and Sophie Partridge.